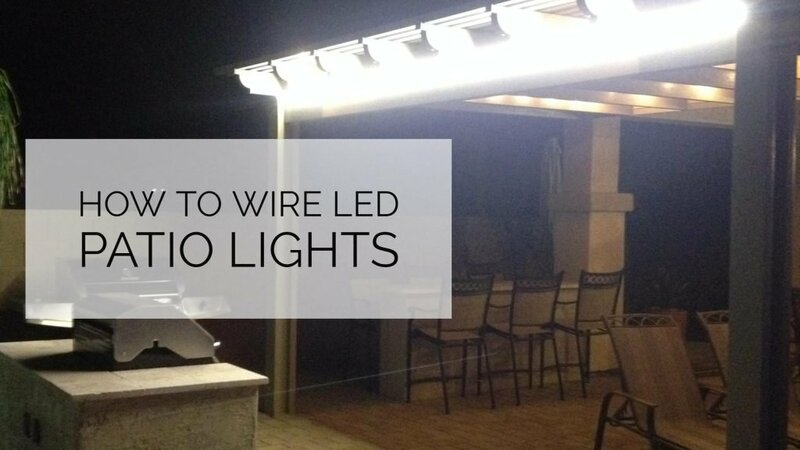 In this article and supplementary video, I demonstrate how to add outdoor patio lighting using LED tape lights. 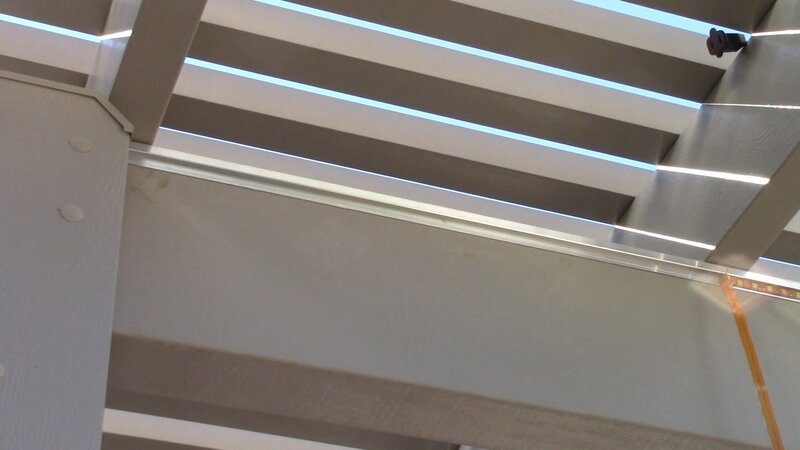 In the example of this specific project, adding LED tape lights to the patio provided very effective task lighting for the BBQ grill, and, with the addition of a dimmer switch, some ambiance setting mood lighting. Always, the first step is to plan the project. 1. 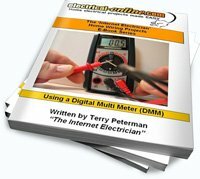 Which LED tape lighting and voltage converter will you need for the project? 2. Where are you going to get your power source from? 3. How and where do you want to install the LED tape light strip? 4. Where will you put the necessary components? 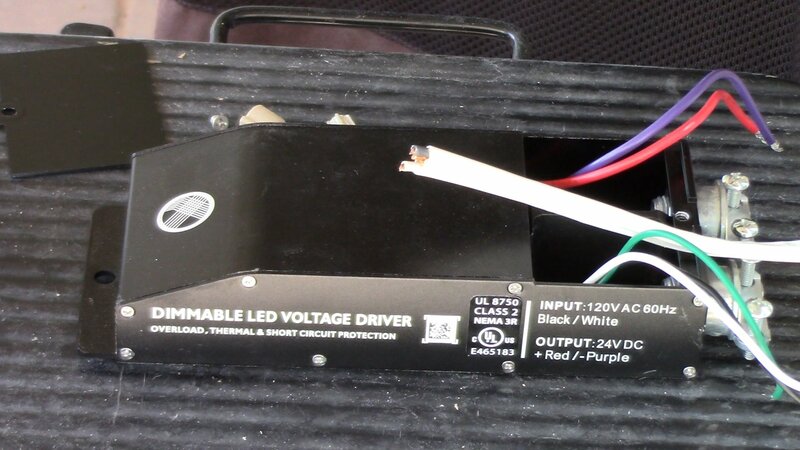 The LED driver I used for the project is Magnitude’s E96L24DC-KO dimmable voltage LED driver. It is class 2 rated, and designed to operate with any standard MLV/Incandescent TRIAC (Leading edge) dimmer switch. Encased in a low profile aluminum enclosure that includes two knock-outs to enable easy installation makes it the perfect choice for under cabinet lights, tape lights and various LED fixtures installations. The LED tape light I chose I sourced on the internet, and I purchased a 16 foot roll of 3000K warm white strip Light, dimmable, 24 volt with 3M adhesive tape backing. 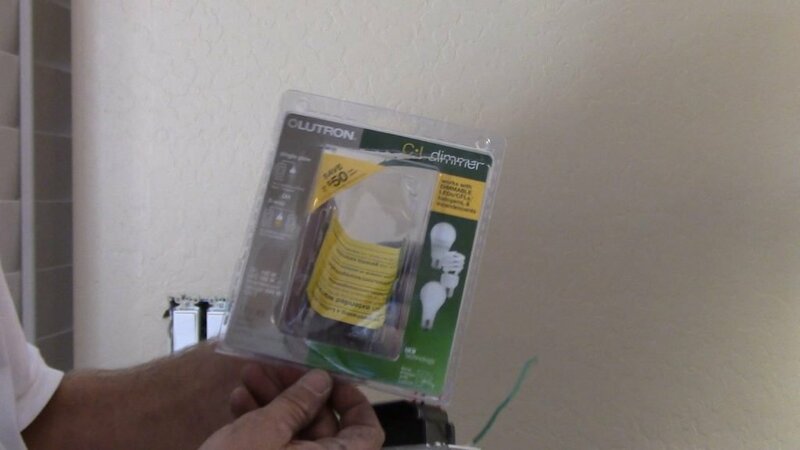 The dimmer is compatible with the driver specifications listed above, and is a Lutron, model DVWCL-153PH-WH. 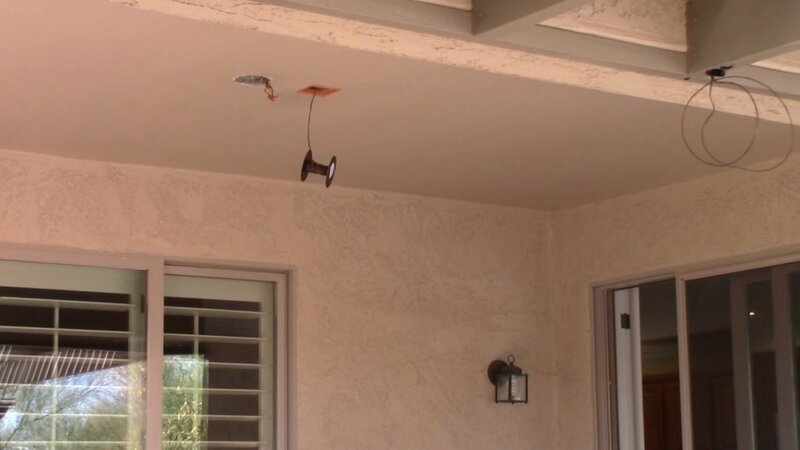 In this situation, there was an existing light outlet for the covered patio area, and it was pre-wired for a ceiling fan/light kit combination with a 3-wire feed to accommodate separate switching for the light and the fan. They only had a light fixture installed here so I knew that we had an extra wire and switch location so the situation was quite favorable. I planned to cut in an access to install the LED voltage converter/constant current LED driver from Magnitude, and from there it looked like it would be quite possible to fish in the low voltage wiring through the ceiling space and into the aluminum framed gazebo, and then through the aluminum channels out to the best location for the LED tape lighting strip. I had the homeowner install a nice aluminum channel to house the LED tape light to keep the weather off of it, and to keep it nice and straight. All systems were go! I removed the light fixture to confirm my available wiring and checked where the open area was between roof trusses was so I could cut in my 4” x 4” hole to house the LED driver, and use an old work plaster ring to finish off the opening and allow the use of a 2-gang blank plate to cap off the hole. 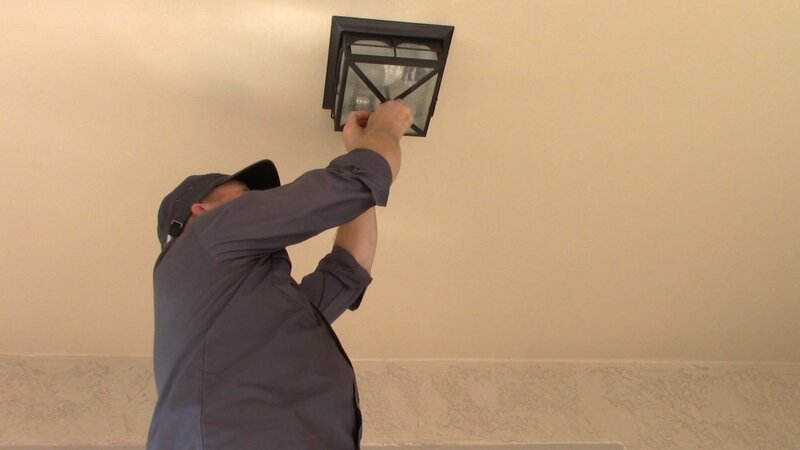 Once that was installed, the fishing of the low voltage wiring was the next task at hand. 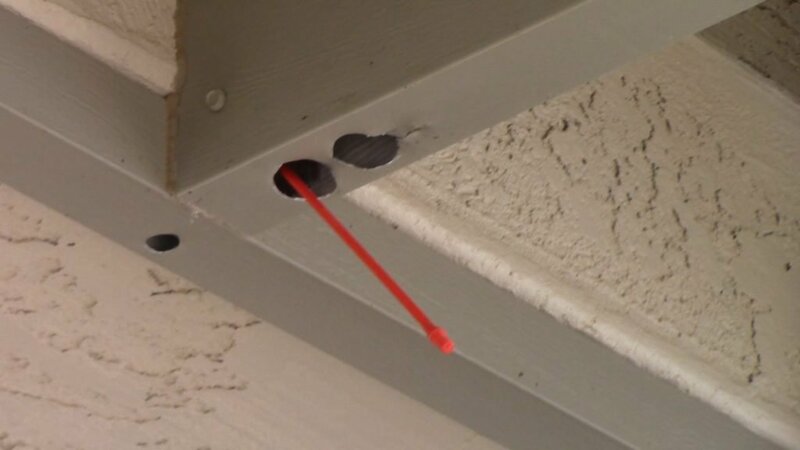 I drilled in from the gazebo beam up through the wood support beam and into the ceiling space near the light fixture outlet. Using a milli-rod from Millipede, I made the longest fishing job work to get the wire into the gazebo beams, then fish the rest of the way out to the end where the LED tape light will be. (To read more about the Millipede Milli-Rod Fishing tool and to see it in action, click here). Fishing the low voltage cable through the beams was a bit challenging, but using the existing holes that facilitate screwing the beams in place, and enlarging a couple others (that will have to be creatively patched and painted later), I got the wire where I needed it without too much difficulty. Then I installed the tape in the aluminum channel, cutting it at a marked location near the end of the track. I connected my power feed for the tape to my low voltage cable, and closed everything back up and pulled my excess slack back towards the LED driver. 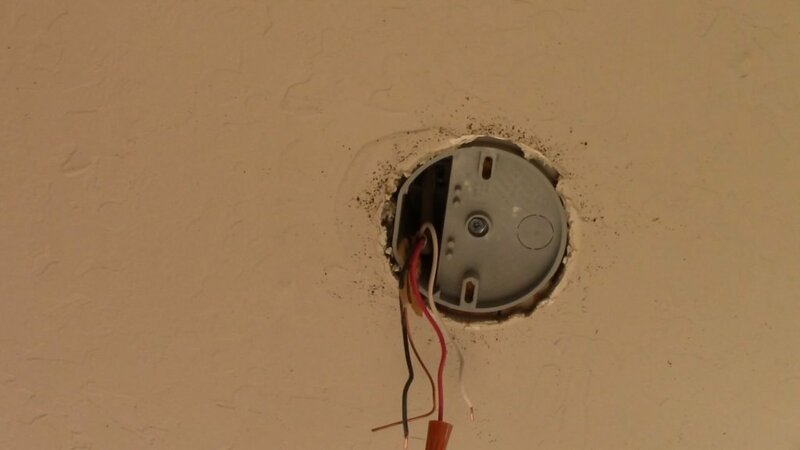 The next step was to connect the 120V and low voltage cables to the LED driver using the existing integrated junction boxes, and the supplied cable connectors. 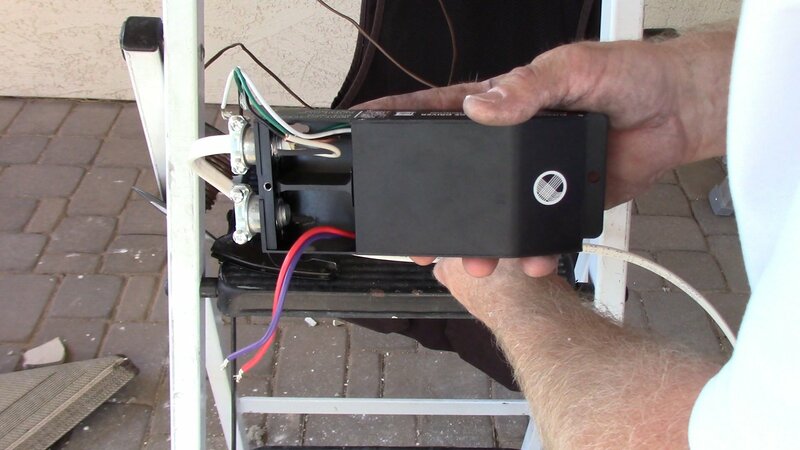 A short feed of 14/2 Romex was used to tap into the light outlet box and tie in the 120V power to the red wire of the supplied 14/3 romex, share the neutral with the light fixture which got re-connected back to the black wire. 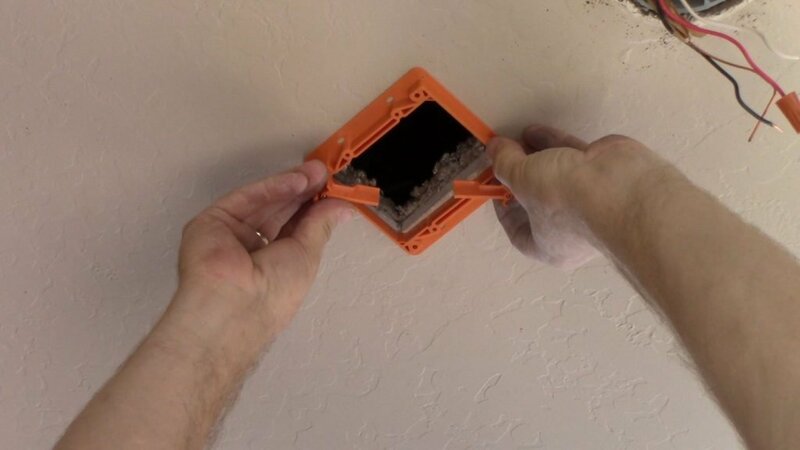 Tie in Ground wires properly, and the last step is the final tie in to the 3-gang switch box. 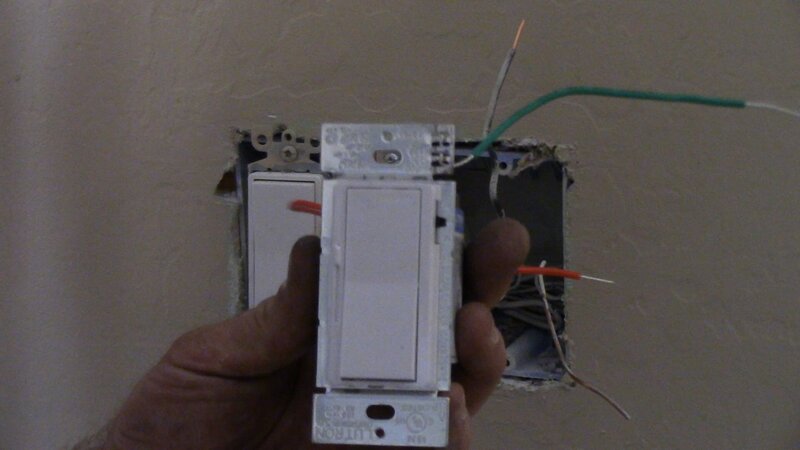 I used a Lutron dimmer rated for LED applications, and installed that as per manufacturer instructions. Having tested the LED tape lights previously to ensure that it worked (be sure to do this with your project! ), the last step is to test the complete installation, and it worked as planned. I returned later that night to see just how effective the lighting was, and it was everything we had hoped for, bright enough for task lighting at full power, and dim it down to the appropriate level to set the mood for socializing after dinner! 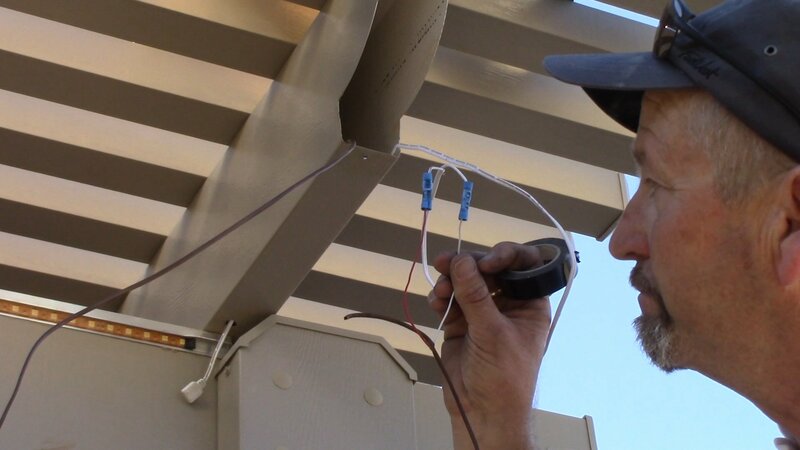 There you have it – the installation of LED tape lights to an outdoor patio. Do you have any questions regarding this project? Feel free to ask your questions below. Or, can you share your experiences of installing lighting in an outdoor area? 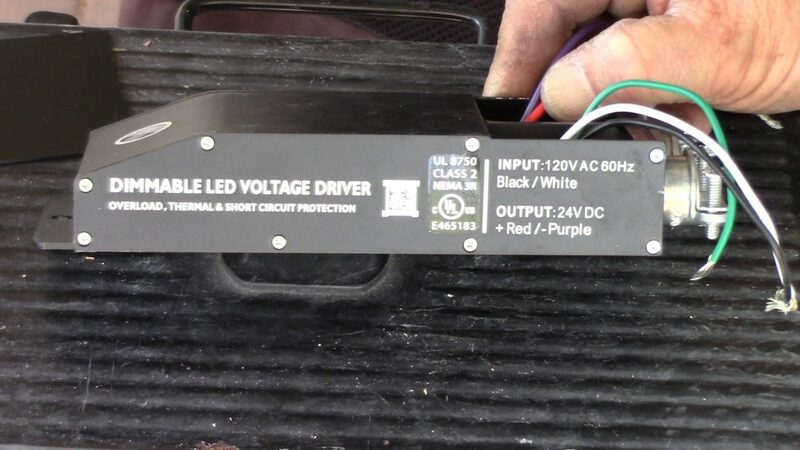 This entry was posted in Lighting, Outdoor Wiring and tagged LED, led driver, LED lighting, led patio lights, Lutron, Lutron Dimmer Switch, magnitude, magnitude led driver, Millipede Milli-Rod Fishing Tool, outdoor lighting, patio lighting, patio lights. Bookmark the permalink.